Janesville, WI -- Betty M. Lohrman, 82, passed away peacefully at Mercy Hospital and Trauma Center in Janesville, WI on April 5, 2019. 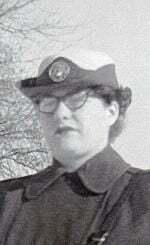 Betty was born on March 4, 1937 to Perry and Evelyn (Denzin) Russell in Edgerton, WI. She was married to Robert Lohrman, who preceded her in death in 2009. Betty served as a Psychological Testing Technician for the U. S. Air Force from 1956 - 1959. Betty was inspired to enlist because of her role model, her aunt Alice (Russell) Breckling, who also served in the Air Force. In 2017, Betty took part in a VetsRoll trip, which she really enjoyed. Betty is survived by her sister, Jo Ann McCarthy; and her brother, Ron (Linda) Russell. She will be missed by her extended family and many friends. 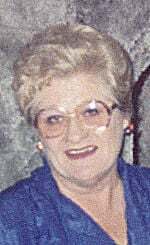 She is predeceased by her husband, Robert; her parents, Perry and Evelyn; her son, David; her brothers, John and Lloyd; and an infant sister, Mary Jean; as well as her brother-in-law Daniel McCarthy. A Graveside Service of Military Honors will be held on Tuesday, April 14, 2019 at 1 p.m. at Milton Lawns Memorial Park, Janesville. All Faiths Funeral Home is assisting the family. Online condolences may be made at: www.866allfaiths.com. The family would like to thank Betty's caregivers, Sandy and Rita; and the ICU nurses at Mercy Hospital for the care they gave Betty.